It’s that time again. 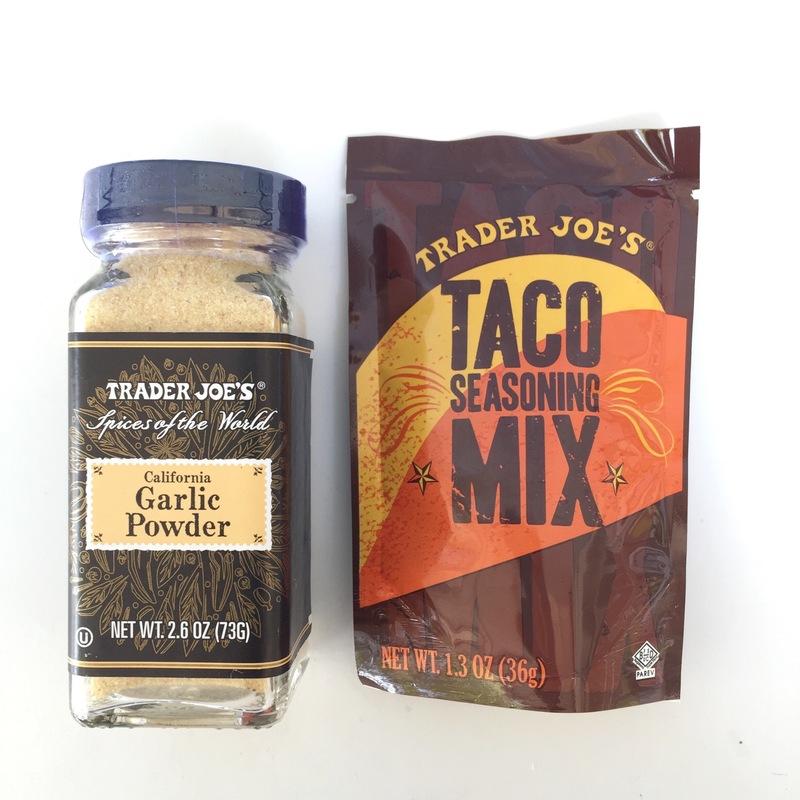 Time for a Trader Joe’s grocery haul where I show you what I bought at Trader Joe’s. Personally, I love grocery shopping as well as seeing what other people buy. Yes, grocery hauls are a thing! Just Google search it, and you will see. No artificial preservatives, colors, GMO’s, ect. Seriously, I should be a spokesperson for Trader Joe’s. If you are reading this Trader Joe’s, email me! Make my nerdy dreams come true. These are some of the items I bought. I have tried and loved most of them before, but there are a couple of new items as well. Snacks: We love chips. That’s all I have to say about those. The baked ones are really good. Tommy likes granola bars, so those make an easy snack at work for him. Protein: The eggs are a great price at Trader Joe’s sometimes I get the more expensive ones, but these are only $1.29. 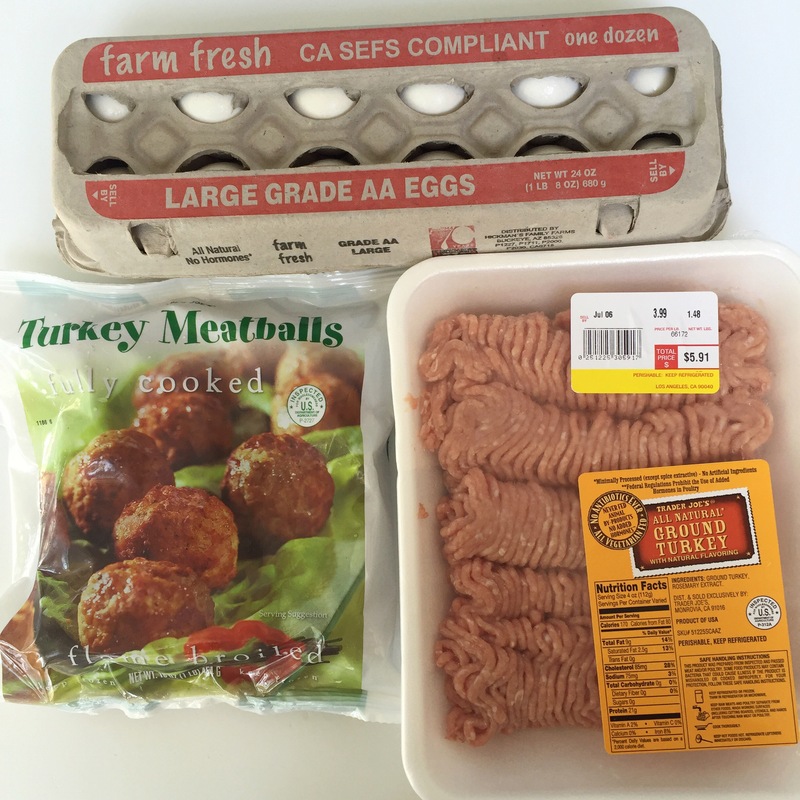 Tommy loves these frozen turkey meatballs, and the ground turkey is great quality so I get that for him as well. Dip: THIS DIP IS AMAZINGLY DELICIOUS. Green Tajini Dip & Sauce. You need it! Dip veggies in it, dip chips, dip crackers, put it on salad, fish, chicken, whatever. It is so good. It’s $2.99, and I wish I had gotten three of them. Vegetarian Protein: Since I eat mostly vegetarian I always buy a few meat replacement items. 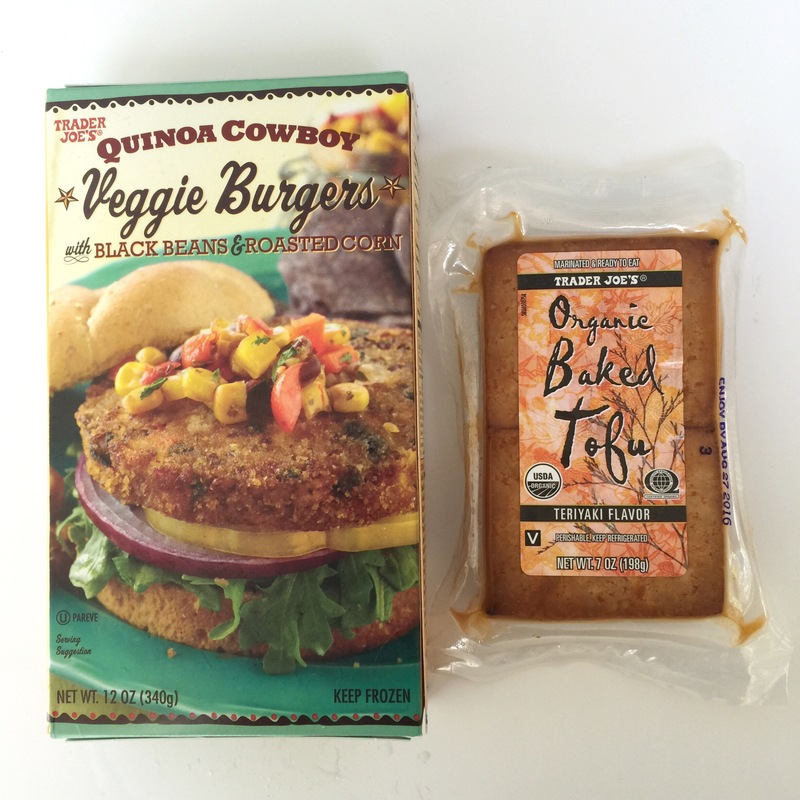 I love Quinoa Cowboy veggie burgers. I eat them with just a side of veggies or veggies and rice for a healthy and easy meal. I’ve never tried baked tofu, but this looked good to me so we will see how I like it. 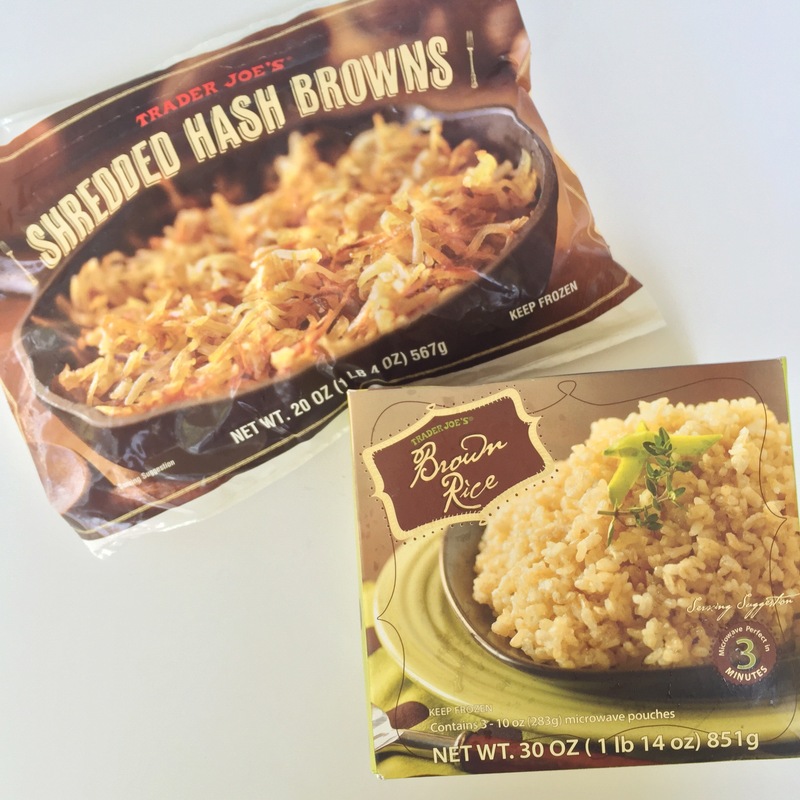 Frozen Items: The frozen hash browns are $1.69, and I love them. A lot. I’ve purchased the frozen brown rice before, and it’s a good way to have an easy side and save time cooking it. 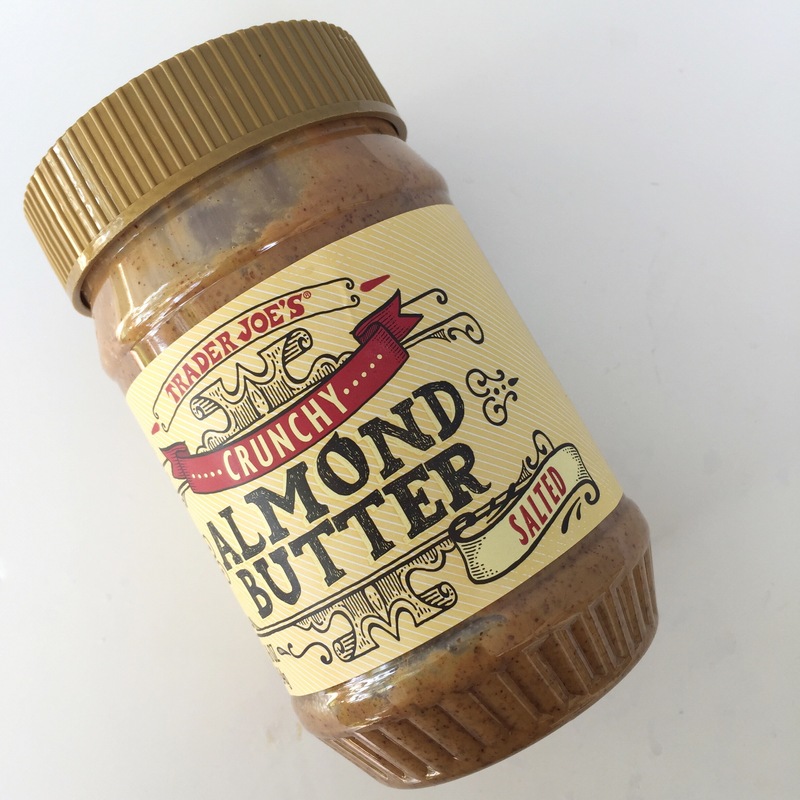 Extras: Almond butter is expensive. This was the most expensive item I bought, but I find it to be cheaper that at most stores. It’s $7.99, but it lasts us a long time. I use it for almond butter and jelly sandwiches, or I put it on top of my oatmeal . Fresh Fruits & Veggies: I didn’t need much, because we are already stocked up on produce. 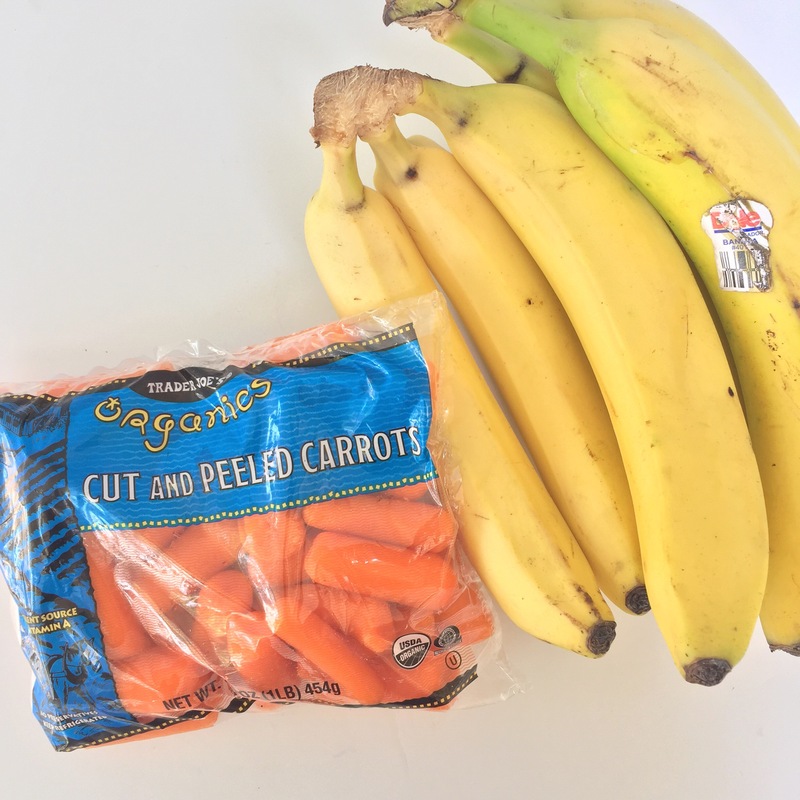 I only got carrots and bananas. I LOVE fresh fruit and vegetables. What are your summer favorites? I am currently loving watermelon and cucumber. Smoothies: I like buying frozen fruit at Trader Joe’s for making smoothies. The pineapple tidbits are a must. Pantry: Spices are also a great deal here. I use the taco seasoning mix on the ground turkey for Tommy. That is everything I got this trip. 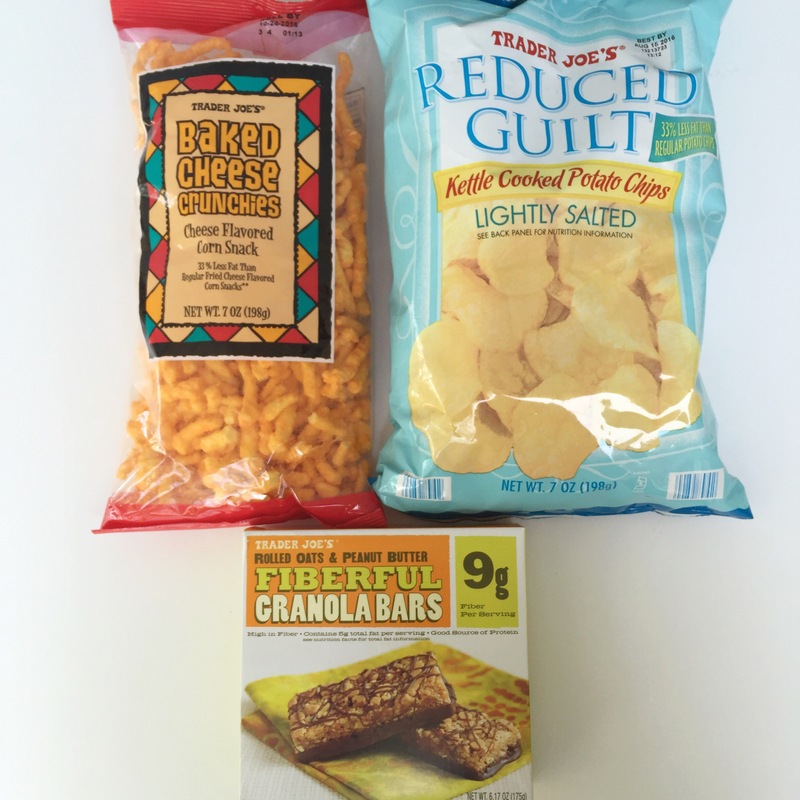 If you want to see more good items to buy at Trader Joe’s be sure to check out my older Trader Joe’s Grocery Hauls. 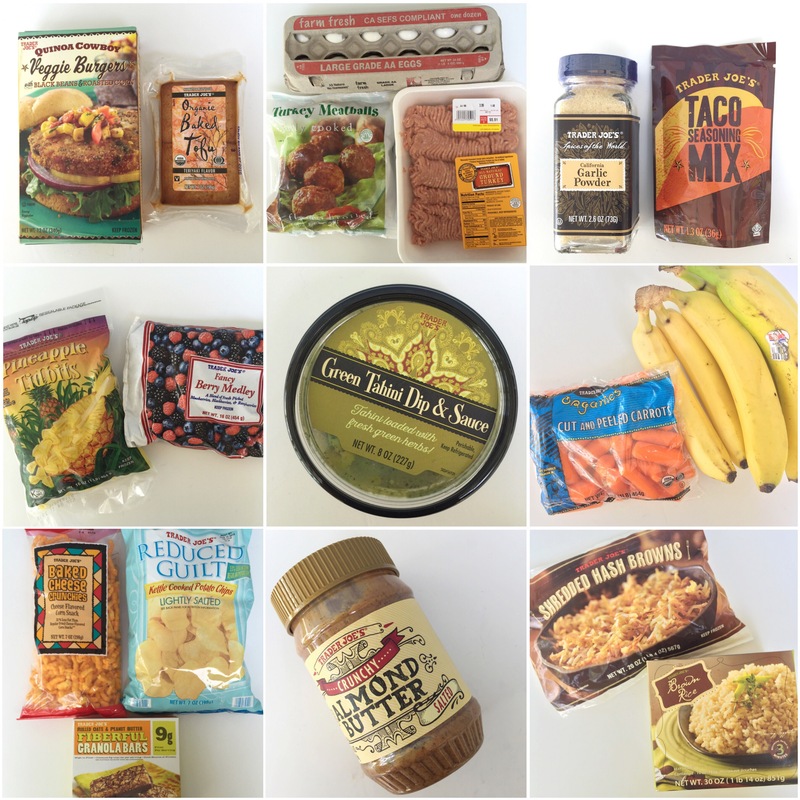 Let me know what your favorite Trader Joe’s goodies are. Hello! That is wonderful. I love checking out markets when I travel. I’m glad I can fill you in on some of there products on here. I hope they go to Australia for you soon!! !